Sniper is built on the Lithtech engine of Monolith. One plays the contract killer Dominick. At the beginning, one can configure his player with 30 points distributable to different weapon abilities (pistol, MP, shotgun, etc.) and on health and stamina like in a role playing game. In your first mission you have to assasinate a man who is guarded by 4 policemen. After completion, you go back to the car, and in a cutscene you are caught by the police, put under by drugs and awaken in prison. Straight away you seek to escape. Subsequently you improve your abilities, the values rise at every meeting with a weapon directly for the weapon. With certain point figures, you reach a new level and can distribute these points again freely. One can live on the basis of healthpacks and drinks refreshen and alcohol will add a lot of lives but also with side effects which are connected but which pass after a certain time again. There are also syringes which bring for a short time health and stamina gains. Later, however, they will again fall back. There is also a pain tolerant which makes the player with wounds less susceptible. The graphics are satisfactory, however it sets no standards. Unfortunately, the play lacks any depth (as the role play aspects would let you expect) and creativity. 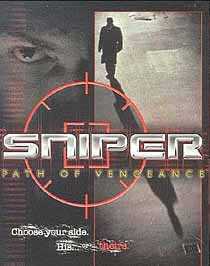 It develops into a normal shooter revenge story that can be well played through in about 5-6 hours. The opponents are rather silly, indeed there is a silencer-weapon, however, it is not required because the opponents do not react to shots in your surroundings often. The version 1.01 tested by me contained some bugs, however, it could be played through and was absolutely entertaining.